At Hunguest Hotel Panorama, enjoy a satisfying meal at the restaurant. Quench your thirst with your favorite drink at the bar/lounge. A complimentary breakfast is included. Relax at the full-service spa, where you can enjoy massages, body treatments, and facials. 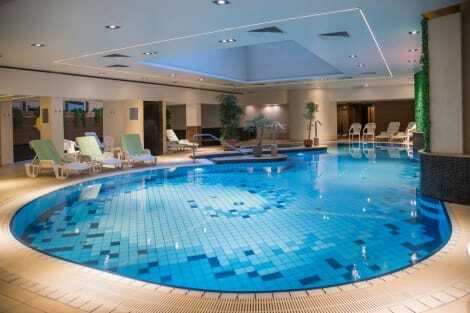 You're sure to appreciate the recreational amenities, which include 3 indoor and 2 outdoor swimming pools and a sauna. This hotel also features complimentary wireless Internet access, gift shops/newsstands, and a hair salon. Guests can catch a ride to nearby destinations on the area shuttle (surcharge). 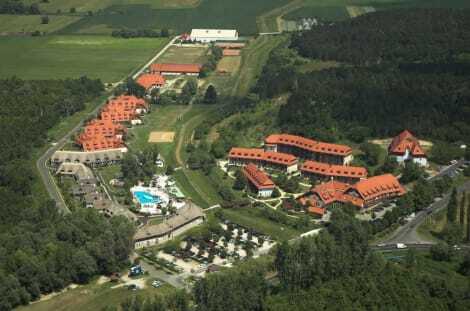 Located in Heviz, Lotus Therme Hotel & Spa is on the Strip, a 3-minute drive from Roman Catholic Church of the Holy Spirit and 6 minutes from Lake Heviz. This 5-star hotel is 4.1 mi (6.6 km) from Festetics Palace. Make yourself at home in one of the 13 air-conditioned rooms featuring kitchens with full-sized refrigerators/freezers and ovens. Your bed comes with premium bedding, and all rooms are furnished with double sofa beds. Rooms have private balconies or patios. 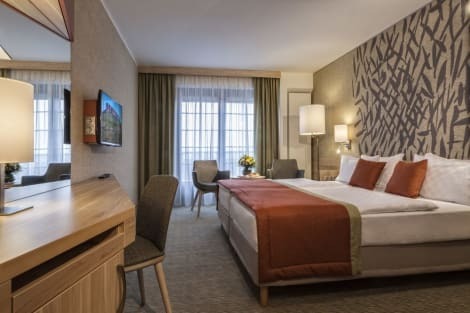 82-cm flat-screen televisions with cable programming provide entertainment, while complimentary wired Internet access keeps you connected. With a stay at Hotel Kalma in Heviz, you'll be a 3-minute walk from Lake Heviz and 6 minutes by foot from Roman Catholic Church of the Holy Spirit. 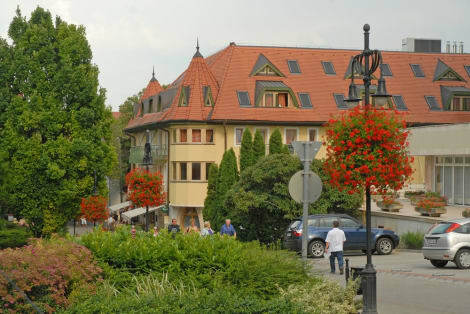 This hotel is 3.8 mi (6.1 km) from Festetics Palace and 4.9 mi (7.8 km) from Balaton Museum. 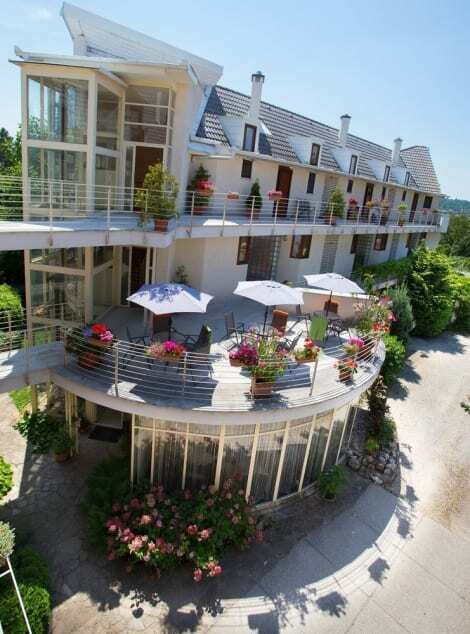 A stay at Feng Shui Wellness Apartmanház places you in the heart of Heviz, within a 15-minute walk of Lake Heviz and Roman Catholic Church of the Holy Spirit. 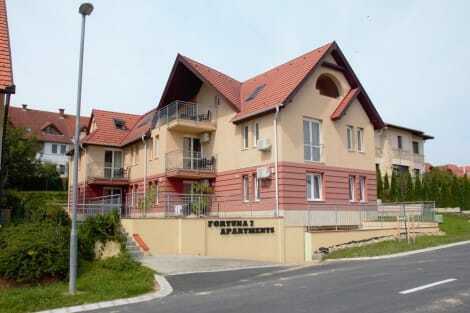 This apartment is 4.6 mi (7.4 km) from Festetics Palace and 5.5 mi (8.8 km) from Balaton Museum. Relax at the full-service spa, where you can enjoy massages and body treatments. If you're looking for recreational opportunities, you'll find outdoor tennis courts, an indoor pool, and a spa tub. Additional features at this hotel include complimentary wireless Internet access, concierge services, and gift shops/newsstands. Getting to nearby attractions is a breeze with the area shuttle (surcharge). Featured amenities include a 24-hour front desk, multilingual staff, and luggage storage. A roundtrip airport shuttle is provided for a surcharge (available 24 hours), and limited parking is available onsite. Make yourself at home in one of the 165 individually furnished guestrooms. Complimentary wireless Internet access keeps you connected, and cable programming is available for your entertainment. Partially open bathrooms with showers feature hair dryers and bathrobes. Conveniences include phones, as well as safes and desks. Enjoy a meal at the restaurant or snacks in the coffee shop/café. The hotel also offers room service (during limited hours). Wrap up your day with a drink at the bar/lounge. A complimentary buffet breakfast is served daily from 7 AM to 10 AM. lastminute.com has a fantastic range of hotels in Heviz, with everything from cheap hotels to luxurious five star accommodation available. We like to live up to our last minute name so remember you can book any one of our excellent Heviz hotels up until midnight and stay the same night.